The USB 3.0 Promoters Group announced an update to the existing USB 3.1 standard in order to double the maximum possible bandwidth from 10 Gbps to 20 Gbps. This USB 3.2 specification is currently in the final draft review phase. USB 3.2 will remain backward compatible with existing USB devices. The new specifications will retain the USB 3.1 physical layer data rates and encoding techniques. The doubling of bandwidth is achieved by going in for a two-channel operation (current USB 3.1 Gen 1/2 devices use only one 'super-speed' channel).The use of two channels is possible only if a certified USB 3.1 Type-C cable is used to connect the host and the device. To understand this further, it is helpful to take a look at the layout of the pins in a Type-C connector. 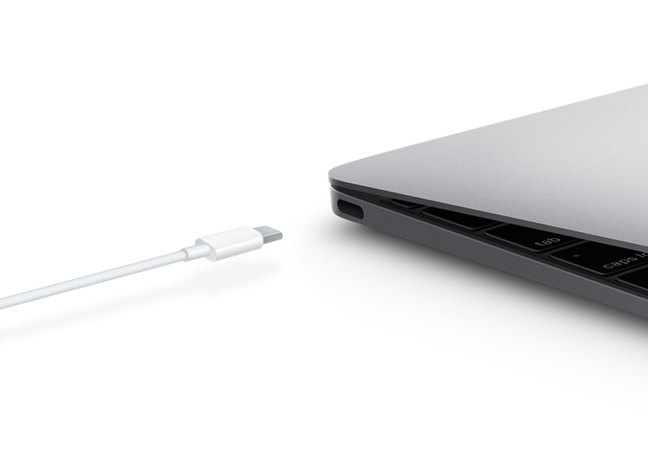 In addition to USB transfers, the Type-C connector also supports 'alternate modes'. In these modes, the cable can carry Display Port, Thunderbolt, MHL, or HDMI signals. There are two high-speed channels in the Type-C specifications, (TX1+/TX1-, RX1+/RX1) and (TX2+/TX2-, RX2+/RX2-). 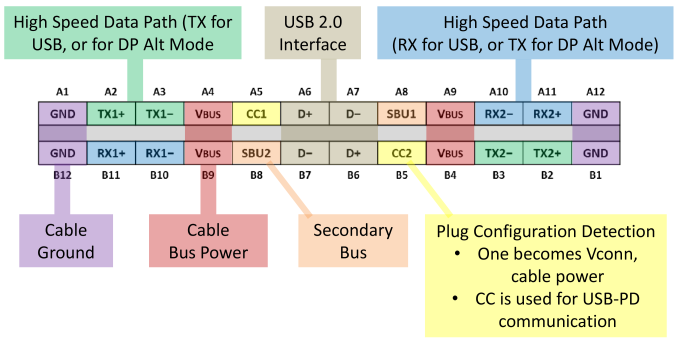 USB 3.1 uses only one of these channels to achieve the required bandwidth, with the other channel (four pins) dedicated to the alternate mode signals. In some cases, if all high-speed channels are used for the alternate mode, USB transfers are restricted to using the legacy pins for USB 2.0 speeds. USB 3.2 will allow both channels (eight pins) to become available for USB transfers. Obviously, both host and client devices need to be updated to use both channels. Note that the usage of any alternate mode automatically negates the availability of the second channel between the host and the device for USB transfers. Finally, a certified USB 3.1 Type-C cable is necessary between the USB 3.2 host and device in order to get the full performance benefits with dual lane operation. For passive cables, the USB 3.1 Gen 2 (10 Gbps) speeds are supported only if the length is 1m or shorter. The Type-C cable market is a mess, with many products in the market not carrying the proper certification, and the requisite logo (which is supposed to be in place only after the USB-IF testing process) not being prominent enough even in certified products. To make matters worse, most of the Type-C cables supplied with smartphones are limited to supporting USB 2.0 speeds only. So, consumers are advised to do proper research before purchasing Type-C cables for use with current USB 3.1 Gen 2 and future USB 3.2 systems. The USB 3.2 update is consumer-friendly, since backwards compatibility is retained and there is no need for any new cables. Thunderbolt 3 also uses Type-C, and can go up to 40 Gbps. Its specifications are being opened up, and that makes future developments in the USB Type-C space worth keeping an eye on.